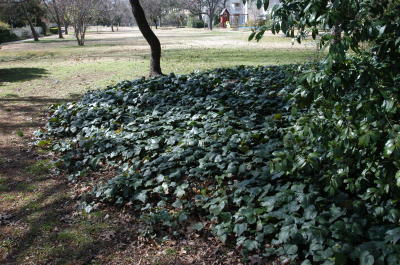 HABIT: Beautiful groundcover that has oval to heart-shaped slightly cupped leaves, 3" - 7" wide (largest leaves of all ivies). Will climb aggressively 10' - 40' if allowed and can travel that far in spread. CULTURE: Regular water and fertilizer needs. 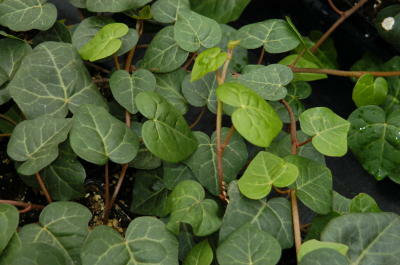 Very tough and easy to grow. Zones 6 - 9.